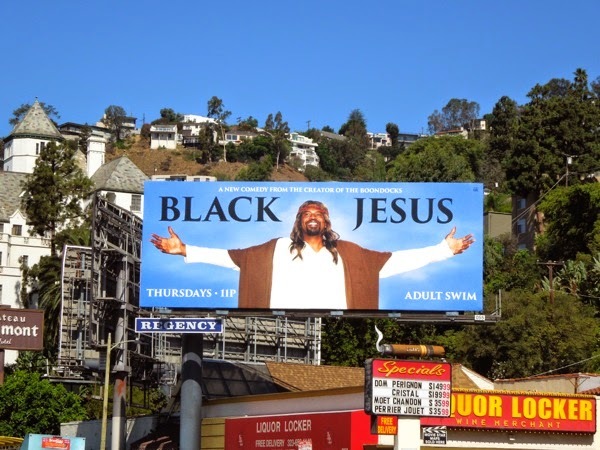 With a series title like Black Jesus, you know you're courting controversy before you even see a visual. 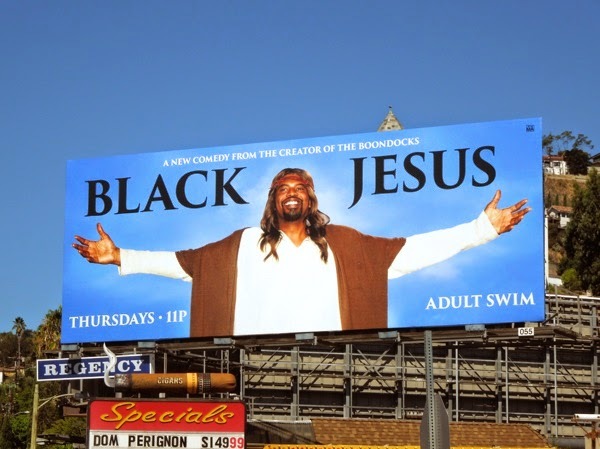 No stranger to biting satire and speaking his mind, The Boondocks creator Aaron McGruder is behind this live-action comedy series on Adult Swim, which sees 'Gerald "Slink" Johnson' play the titular Black Jesus in modern day Compton, California, on a divine mission to spread love and kindness throughout the neighborhood with his band of inner-city followers. 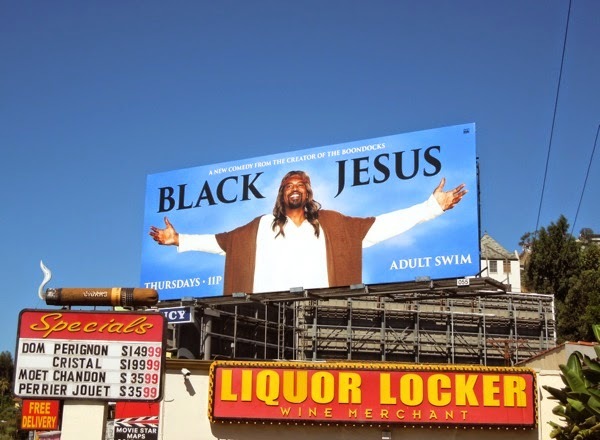 Daily Billboard is sure this ad creative won't alienate its youthful target audience, but is sure that organized religion will no doubt take offense, even though the question of Jesus Christ's skin-tone has been debated through the ages. 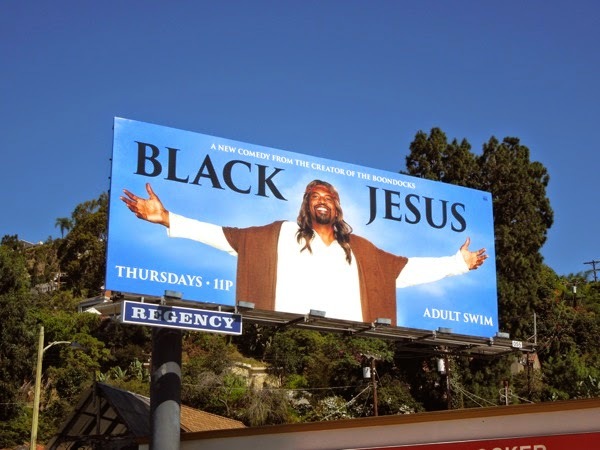 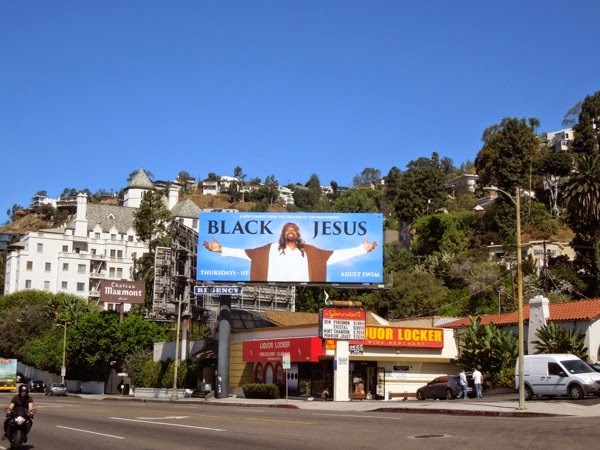 This wonderfully provocative Black Jesus billboard was snapped along West Hollywood's Sunset Strip on August 5, 2014 (and there's something quite ironic that the billboard hoarding finds itself above a liquor store with a big cigar outside it). 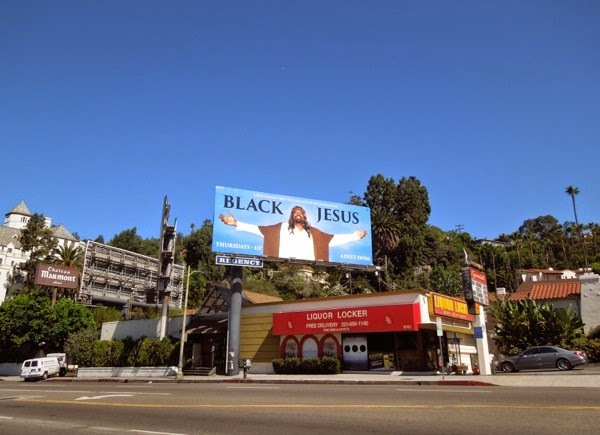 And if you see the levity in this outdoor ad, you'll also probably enjoy these Your Pretty Face is Going to Hell billboards (which also seem oddly appropriate).